Our guest this week will be Master Instructor Ka Abner Anievas - Founder of KEAT (Kali Eskrima Arnis Tapado) FMA Training System. 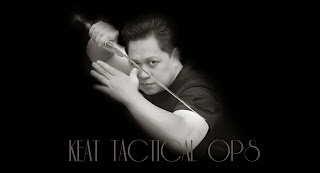 He is an ambassador of the Filipino Martial Arts, in Hong Kong, the Mecca of Wing Chun andmany other Kung Fu styles. We will be discussing the growth and challenges of spreading the arts in an area that is already known for many other martial arts.